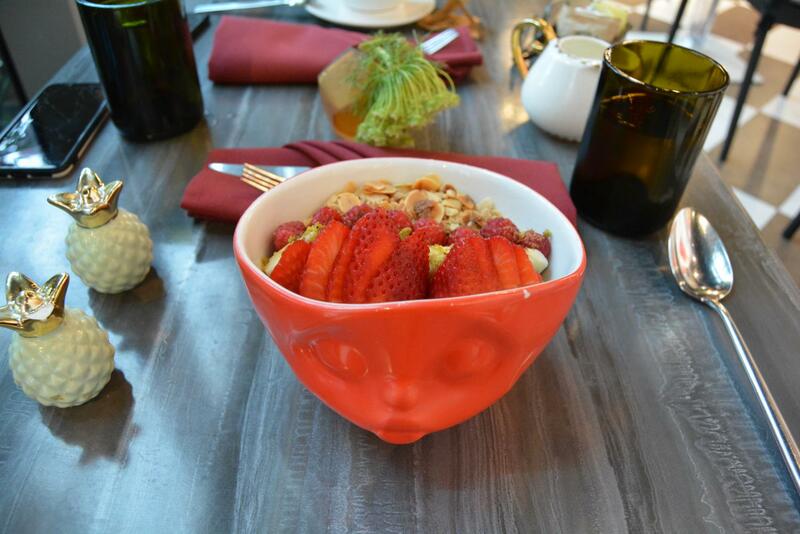 La Muse's acai bowl is plated in a vibrant bowl that matches the artistic atmosphere and is filled with fruits and nuts. Located inside the Avant Gallery, La Muse Cafe brings color to Miami's concrete jungle and offers an artistic experience to all of the city's food enthusiasts. Overflowing with modern paintings and sculptures, La Muse Cafe stands out among the concrete jungle of Downtown Miami. Located inside the Avant Gallery —an exposition that features contemporary art— La Muse offers a new kind experience in which customers get to savor the best of both the art and culinary worlds. 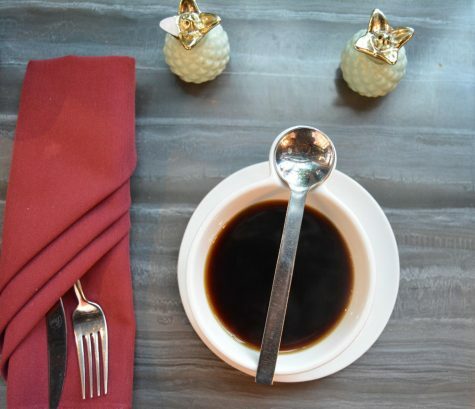 Through this harmony, customers can relish both breakfast and lunch every day from 8 a.m. to 3 p.m. while admiring the artistic scenery in the cafe. La Muse offers a selection of teas and coffees from all over the world. As per its name, La Muse created a menu inspired by pop culture icons such as Brigitte Bardot, a French actress known for her style and lasting legacy. Customers can try signature dishes like Kiki’s Quinoa Salad, named after Kiki de Montparnasse, the famous French model, which is made of Peruvian red quinoa and numerous other vegetables like tomatoes and hearts of palm. They can also try Kate’s Supergreen Gorgeous, influenced by Kate Moss, which is made up of kale, radishes and citrus dressing. Using this experience, patrons can play around becoming their icons just by choosing from La Muse’s diverse menu items. Serving as the cafe’s haven, the Avant Gallery is a crucial part in attracting customers due to its trendy attention-grabbing art. 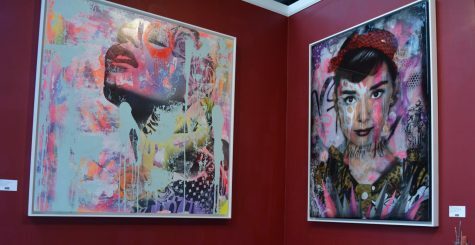 As an affluent art group based in Miami Beach, the Avant Gallery has locations across the globe, even reaching exotic places such as Dubai and New York City. At La Muse, however, a smaller exhibition is displayed, enough to leave one in awe and in search of more of the gallery’s wide selection of art. Artists such as Andy Warhol and Skylar Grey are featured, providing a vibrant and out-of-the-ordinary setting for art and food enthusiasts alike. In addition, other mediums are displayed, such as sculptures made by Lina Condes, a Ukrainian artist who focuses on implementing ideas of feminism in her work, and the stained glass windows that enclose the bistro’s patio. The artwork in the Avant Gallery features portraits of icons such as Karl Lagerfeld and Audrey Hepburn. With its European-styled menu items, La Muse not only satisfies the eyes but also the taste buds for a relatively affordable price, considering its location and quality. For breakfast, dishes like the Buddha Bowl come at a relatively low price of $12, with the most expensive item on the breakfast menu, the Audrey Bowl, being $16. By using less common proteins like smoked salmon and crab, La Muse redefines the typical American breakfast, embodying a more European-style cuisine. For lunch, La Muse offers a dish called Brigitte’s Burrata & Tomatoes along with Dora’s Deviled Eggs and the CroSub. These bites truly pay homage to the remarkable icons LaMuse represents. Although still unknown to the Miami audience, La Muse remains part of the trendy movements in Miami and a must-go for both foodies and artists willing to discover its immersive experience.